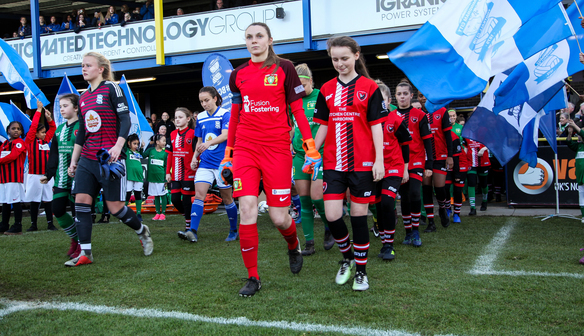 Yeovil Town Ladies – if they can get past Birmingham City Women on Sunday- will travel to fellow WSL side Reading or local side Keynsham Town . The fifth round tie was made by Rachel Finnis-Brown and Sue Smith tonight live on BBC Sport. Following the weather conditions at the tail end of last week, the Glovers’ home match against Birmingham was called off and will be played this Sunday at 3pm. With a match away at Reading or Keynsham Town awaiting after this weekend's game, Yeovil Town need your support to get them over the line and enjoy a cup campaign to remember. To book your match day tickets, follow this link. All FA Cup fifth round matches will be played on Sunday 17th February.